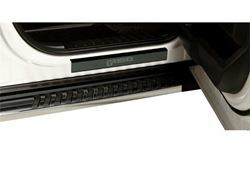 Protect your door sills from scrapes and scratches with these attractive door sill covers. Laser-etched with the F-150 or Super Duty logo to enhance the appearance. Available in Chrome and Black Platinum™.